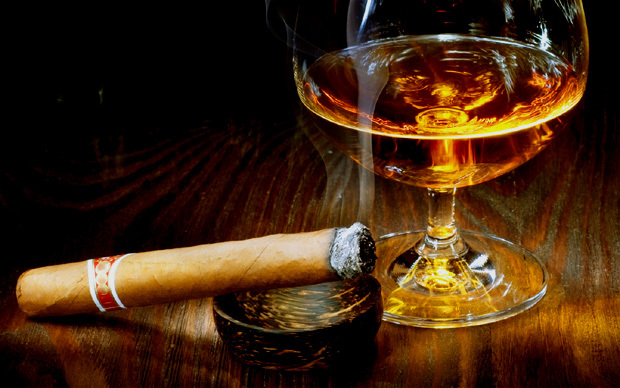 You are at:Home»The Lifestyle»Cigars»Fancy a Nightcap? I’ve always enjoyed an end-of-night ‘Finisher’ sort of cigar. You know, for when you’re not quite ready to hit the hay, but also don’t want to overdo it with a big smoke and kill yourself for the morning? Well, it’s long been a quest to find the perfect nightcap cigar. Many have vied for the crown, many have failed. Expense comes into the equation; I don’t want to pay a fortune for my Finishers. I’ll save that for my ‘main course’ cigars. I’ve enjoyed testing the rather cool pigtailed Papas Fritas from Drew Estate (not available in the UK) and until now, the Cuban H Upmann Half Corona has been a popular choice to end the evening. But I think I may have just stumbled across a new world-class Finisher at a decent price. The newly-released Rafael Gonzalez Perla is sized at 4 ins x 40 ring gauge – just the right amount of legroom for a decent blender to demonstrate his art. And to give Habanos SA their credit, that is exactly what they’ve done with this little stick. It’s a corker of a blend, medium bodied and medium flavoured, enough to keep you interested without killing the palate. Of course a stick like this would also be a great choice when time is short. Rafael Gonzalez is a sleeper Cuban cigar brand; I have a sneaky soft spot for the RG Lonsdale with a few years of box age. And the great thing about the marque is that because it is one of the lesser known, you are much more likely to find cigars with some age right off the shelf. Next time you’re browsing through the humidor in your local cigar merchant, keep an eye out for a dusty box of Rafael Gonzalez. And once you’ve found it, make sure you also grab a five-pack of Perlas. 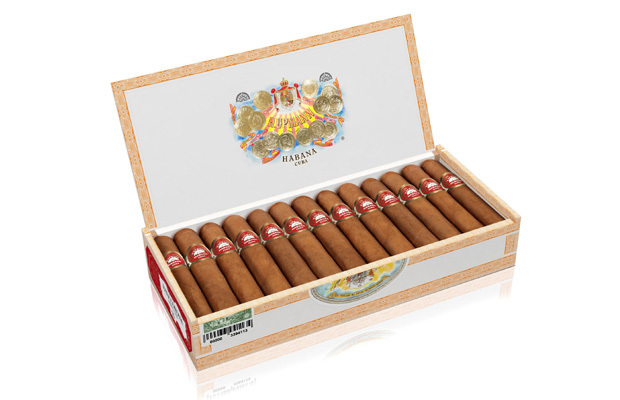 At around £35, they’re a great little smoke to have in the humidor. I’ve been accused in the past of having ideas above my station, but this takes the biscuit: I’m proud to announce that I now have my own personal butler permanently installed in my office. His name is Frank and I’ve been testing him out for the last few weeks. I’m pleased to report that he has passed his probationary period with flying colours – and I’ll be taking him on full-time. Butler Frank is an odd little contraption from AirButler Medcare and it’s designed to clean and purify the air, leaving a faint ozoney smell and not a lot else. My office is a confined space, and although it has windows and a skylight, on windless days and nights it can become somewhat – how shall I put it? – pungent with cigar smoke. And as cigar lovers among you will know, no amount of josticks, candles or air fresheners can take on the stubborn smell of stale cigar smoke. So I’m delighted to report that Frank has accomplished his task with quiet aplomb. With high and low settings and an additional fan for when the going gets tough, he works quietly away in the corner. Left on overnight, the office is completely smell free. And I mean completely. It’s quite odd really, the air literally has no scent at all. Butler Frank is available from www.airbutler.com priced at 100 Euros. It’s fair to say I have a memory like a sieve, so important things have to be noted down and left in prominent places. I half imagine I may ultimately end up like Uncle Billy from It’s a Wonderful Life – bits of string tied around various fingers as reminders. Anyway, although I have a decent recall of good cigars, it’s easy to forget one’s immediate tasting notes and thoughts on a cigar as it is smoked. Step in Humidor Notes. This brilliantly designed little pocket book is made especially for cigar lovers and allows you to record in forensic detail those cigars you would like to recall later. Type of wrapper, binder, filler and aroma? Just pencil it in the allotted sections. Date purchased? Where you smoked it? What did you drink and who were you with? All possible permutations are covered, with the ability to 5-star rate your cigar at its smoky end. Best of all, an ingenious and included dot of glue allows you to carefully stick your cigar band in the book, meaning you’ll have a visual aid to jog your memory when all else fails. Brilliant. 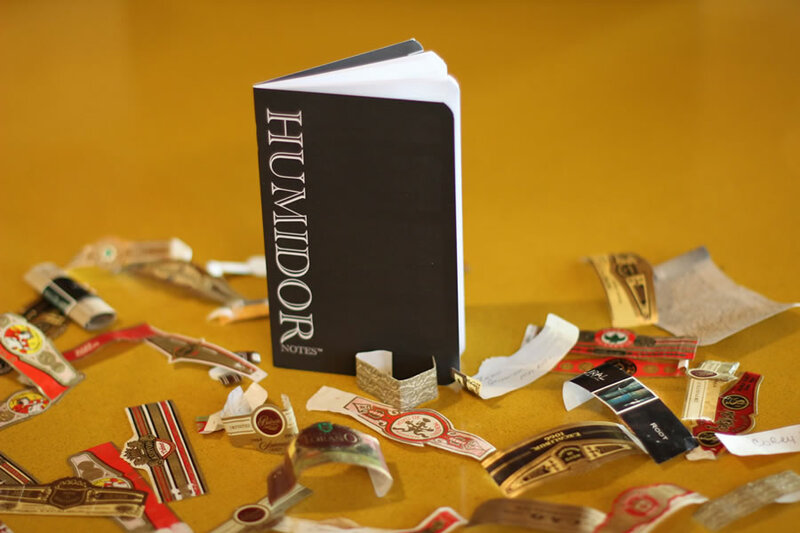 Humidor Notes are available from www.humidornotes.com for around £10 for a pack of three.